More like Delicious Daniel Feast! 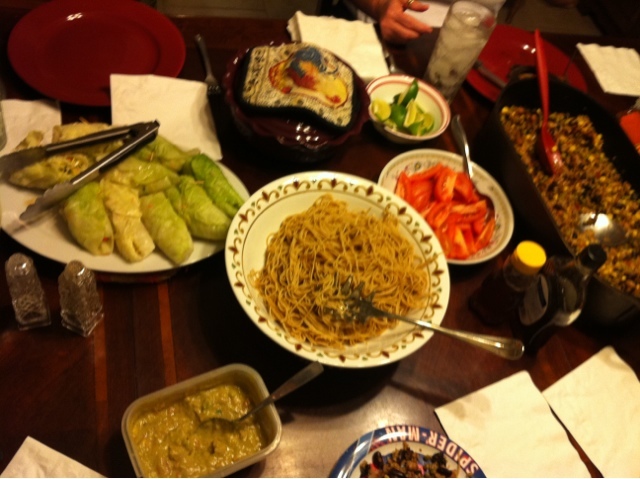 We love our church family who love to cook for us! 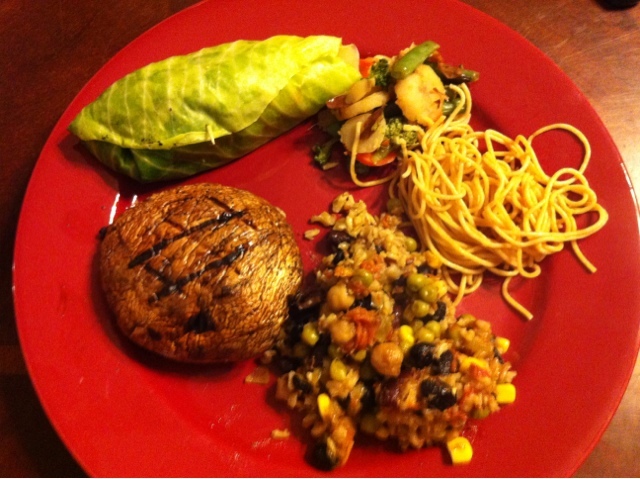 This dinner included portobello mushrooms grilled like steaks, a bean/rice mixture, cabbage-wrapped veggies & brown rice, stir-fry veggies, guacamole, & whole wheat pasta & tortillas to eat with it. 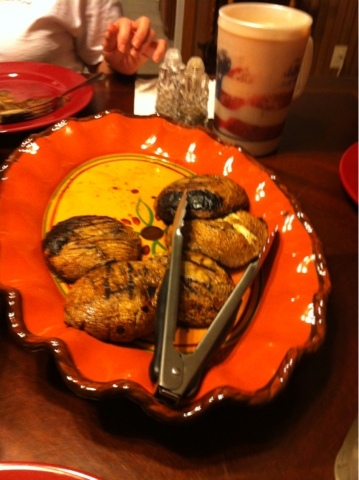 Dessert was baked apples & grilled pineapple. Awesome! 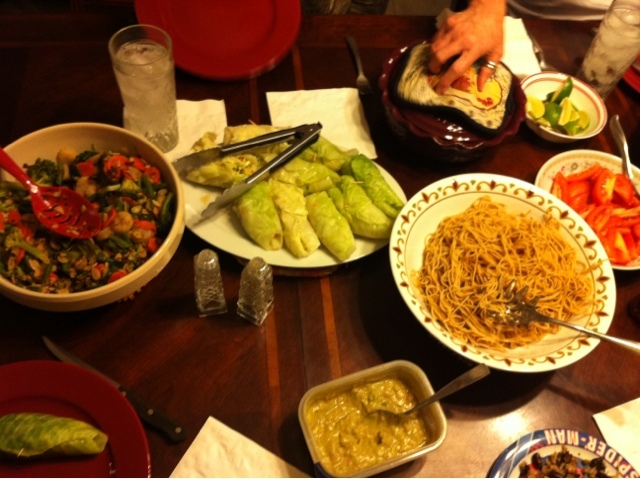 This was the kind of meal that keeps us going on this fast.